Rep. Dean Westlake, D-Kiana, said on Friday that he will resign from his seat after being accused of sexual harassment by multiple women. "As recent allegations of my behavior have superseded discussions about my constituents, my ability to serve them has been diminished," Westlake wrote in a letter to House Speaker Bryce Edgmon. "Some people are angry with me; more are disappointed. I am too. To the women who came forward, thank you for telling your story. I am inspired by your bravery, and I am sorry for the pain I have caused. To my constituents, I am sorry to have let you down. These allegations do not reflect who I am, nor who I want to be. I will learn from this experience and be a better man because of it." On Friday afternoon, shortly after Westlake's resignation, Anchorage TV station KTUU published a report saying he had fathered a child with a 16-year-old girl in 1988, when he was 28. According to KTUU, "a staffer for Westlake asked Thursday night that a story on the birth be withheld." Westlake, who is halfway through his first term, has been under fire since an Anchorage Daily News report last week that detailed allegations of sexual harassment from seven current and former aides. Six of the women described the behavior after one of them went public and recounted unwanted touching and sexual comments in a letter to legislative leaders. Democratic leaders asked him to resign. He refused in a statement Tuesday, saying that his "friendly or funny" overtures were not interpreted the way he had intended and apologizing. Then an additional report surfaced, in a story on KTUU-Channel 2, from a woman who said he made inappropriate comments and sent an unwanted sexual text asking her to "lift up your parka." Democrats in Westlake's northern Alaska district will nominate three possible replacements for Westlake, one of whom will be chosen by Gov. Bill Walker to serve the remainder of Westlake's term. Walker's choice must be confirmed by House Democrats. Westlake's letter of resignation did not specify when his resignation would take effect. The letter does not specify a date when the resignation is effective. If no date is specified, a resignation is effective 10 days after the date of its mailing, according to state regulations. In a statement shortly after the resignation but before the KTUU report was published, Alaska Democratic Party Chair Casey Steinau thanked Westlake for his service and said the party has zero tolerance for sexual harassment. "In light of all the allegations of sexual misconduct, the Party is pleased and believe Representative Westlake made the right decision," Steinau said. The mostly Democratic House majority coalition also issued a statement Friday before the KTUU report, in which House Speaker Bryce Edgmon and House Majority Leader Chris Tuck encouraged "all victims to come forward and make a formal report." "It has become clear through this process that the Legislature's culture, policies, and institutions do a poor job of protecting workers," Tuck said, according to the statement. "We are committed to designing and implementing a clear policy to train every legislator and staff so there is no confusion about putting it into practice. 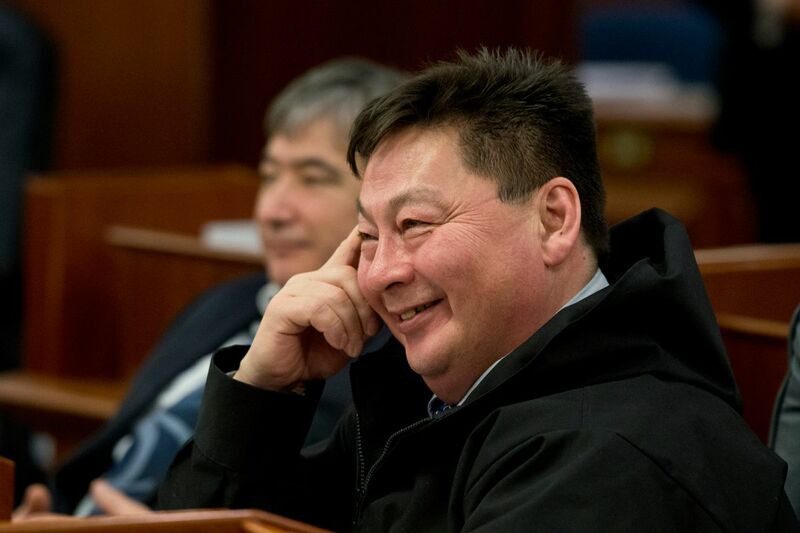 This is crucial to restoring faith in the institution of the Alaska Legislature." A group of representatives and senators is developing recommendations for the Legislature's sexual harassment policy and "increased annual training and prevention measures will be in place when the next legislative session begins in January," the statement said. At a press conference on Gov. Bill Walker's proposed budget Friday afternoon, Walker said Westlake's resignation "was the appropriate decision, given the circumstances." Egan Millard, Annie Zak and Lisa Demer contributed to this story.